PERTH patients will wait longer for surgery, and in emergency departments, after nearly $77 million in Federal cuts to metropolitan hospitals according to Labor MPs. 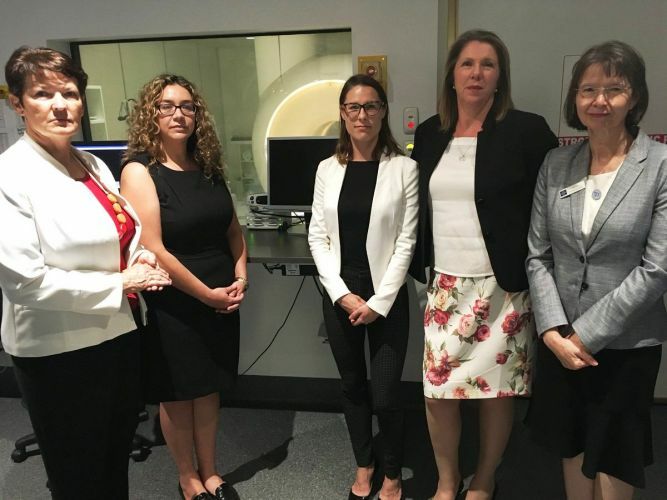 Last month, Federal Opposition Spokeswoman for Health Catherine King and Labor candidate for Hasluck Lauren Palmer visited Midland Hospital to hear about the impact of health cuts on local hospitals. Ms Palmer said every dollar cut from public hospitals was a dollar cut from the state’s sickest and most vulnerable patients. “Our community isn’t going to our public hospitals because they want something to do; they are there because they desperately need health care to get back on their feet,” she said. “They’re people waiting for hip surgery, knee replacements, and dealing with life-threatening health issues. WA Labor Senator Glenn Sterle said the Federal Government had ripped $77 million from WA’s health system from 2017-2020. “Labor created Medicare, we will always fight to protect Medicare and we will fight the cuts to hospitals,” he said. However a spokesman for Federal Health Minister Greg Hunt rejected Labor’s claims. “Our record hospital funding means more doctors, more nurses and importantly more services and support for West Australian patients,” he said. “Under the National Health Agreement Heads of Agreement, signed by the WA Labor Government, WA hospital funding would increase from over $10 billion in the five years to 2019-20, to more than $14 billion in the five years to 2024-25. But WA Health Minister Roger Cook said WA continued to be duded by the Federal Government. “I will fight to ensure that West Australians receive their fair share of Commonwealth funding for health care,” he said. “Cuts to WA’s share only make an appalling and unfair situation even worse. “The current Commonwealth funding model is woefully inadequate and costs this state $430 million dollars a year in lost Medicare funding alone.